When I try opening the MikTex console I get an error window saying "MiKTeX Console is already running". I tried closing literally every program, and I still get it. 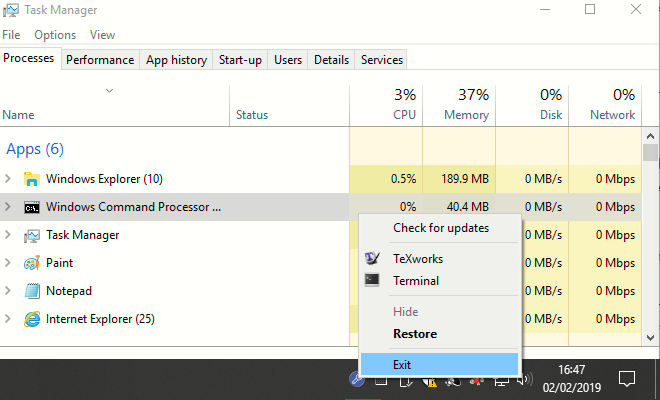 I opened Task Manager to see if it showed up there, but no. I tried restarting my laptop. I tried running the console as an administrator, but I get the same message. Any help? Thank you. When launching MiKTeX-console via a .bat / .cmd file or shortcut it will usually show as an icon, however if you don't have show all icons it may not be visible. You may need to expand all icons to locate it in the taskbar then you should be able to right click and control it. That is preferable rather than using > to expand the Windows Command Processor and killing it there. It is possible in a dual set-up of Administrator & User that is is running under the other login. to avoid any update problems ensure the user session is not activated by your editor. To trouble-shoot a dual install log in as user first, check NO editor or Console is active. Log-off as user and login as administrator, DO NOT run any LaTeX related application prior to running MiKTeX-console and if you see this message again you will need to re-boot to flush all active threads. 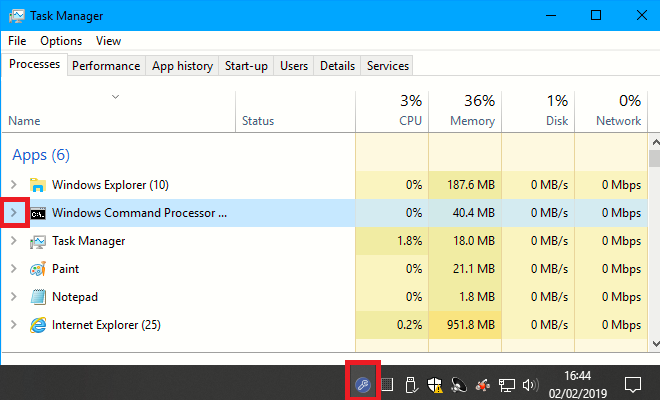 You should review your launch methods to avoid any dual loading in the first place, and without going into any detail here, there are ways to auto detect and killtask prior to relaunch but that is outside the scope of this site, it should not be necessary and best asked on other stack exchange forums. When I was in this situation, I found that MiKTeX had generated a file named miktex-console.lock in my user folder (C:\Users\MyUsername for Windows users). Deleting the file permitted the application to run. It appears that the MiKTeX console, for whatever ridiculous reason, does not simply check for other instances of the miktex-console.exe process, and instead generates this "miktex-console.lock" file when launched. Deleting the offending file whenever it is created lets you run as many MiKTeX console instances as you like. This is horrifically bad design.